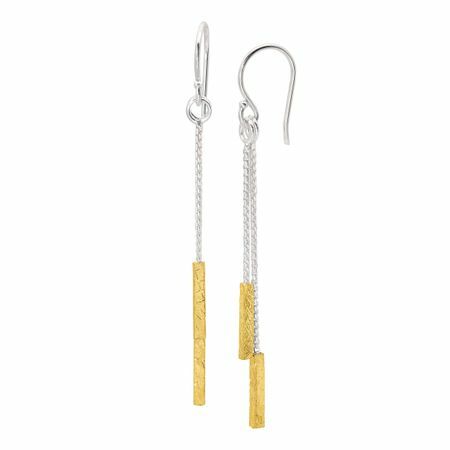 High-shine sterling silver meets golden brass at the base of these dramatic drop earrings. Pair them with a loose tank top and skinny jeans, or use them to accentuate your favorite dress on a night out. Earrings measure 2 1/2 by 1/8 inches, finished with ear-wire back-findings.